t itanium is a multi-purpose metal that impresses with its characteristics and extensive industrial applications. In addition to valves, exhaust systems, and human implants, it is widely used in the production of kitchen stuff. When applied for this purpose, the metal allows people to get the most out of its properties and enjoy their food to the fullest. 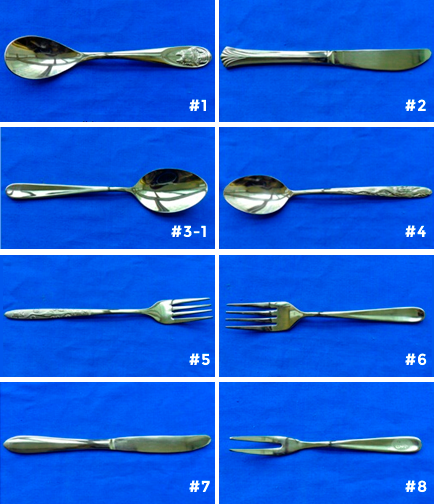 Titanium flatware also ensures longer life, and that makes it far superior to ceramic goods. When it comes to kitchen utensils, safety and practicality are those features that should be kept on the highest level. With this in mind, Baoji Sino-Swiss Titanium Co., Ltd. comes up with a broad range of top-quality titanium flatware, including knives, spoons, forks, and many other goods. When manufacturing our products, we use different grades of the metal to enhance its protective properties and durability. Pick the set of titanium cutlery from our catalog to make your everyday life easier. Our team takes great pains to offer you the best products on the market. As it is hypoallergenic, non-toxic, and environmentally-friendly metal, titanium causes no harm to a person. Also, it can be used with acidic as well as alkaline foods and beverages with no risk of metal poisoning. Taking this into account, titanium cutlery is deemed to be the safest on the market today. 2. Cleaning features and resistance to corrosion. Owing to its oxide layer, titanium cannot be affected by rust. Such a shield provides your tableware with adequate protection against degradation and increases its service life. If you are concerned about washing-up issues, we recommend paying attention to self-cleaning properties of the layer. Be sure you will not face any difficulties in rinsing utensils made of this metal. The cutlery made of titanium is enormously popular for backpacking activities because of being more durable and lighter than stainless steel. All utensils you need can be put in a bag without making it difficult for you to move. For those who are keen on camping, hiking, or other trips of this kind, titan tableware is an ideal choice. Titanium dinnerware will never affect the flavor of your meals by that unpleasant metallic taste. b aoji Sino-Swiss Titanium Co., Ltd. places an increasing focus on the beautiful look and practicality when manufacturing titanium kitchen utensils. We implement the most advanced equipment and techniques to provide you with products which come in handy in various situations. Plus, our company guarantees compliance with international standards. It’s time to look through our catalog and pick the set of tableware you want. Make your order right now and get your item delivered on time!